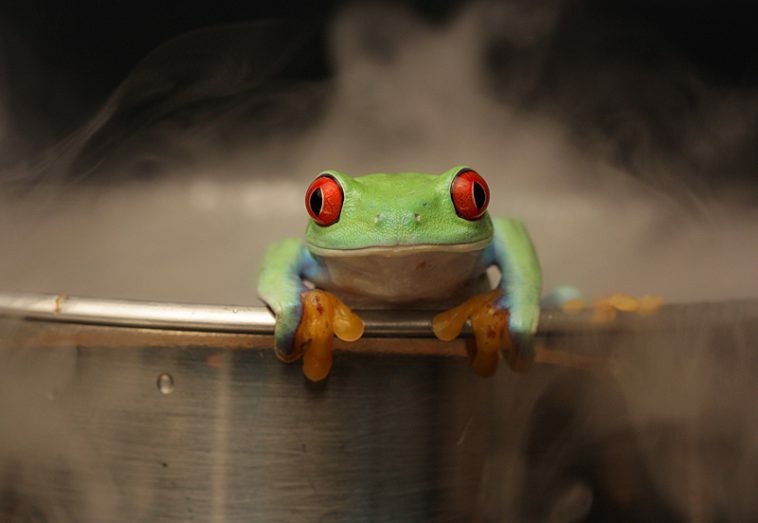 The boiling frog dilemma anecdote describing a frog slowly being boiled alive is an apt description of what is happening here in The Bahamas over the past couple decades. The political class keeps ratcheting up regulations and taxes without much fuss from the frogs (business community and the taxpayer), as if the economy is their personal stove and pot of water, and we continue sliding toward darker days. The governing party – and the banner does not matter – keeps assuring us, if they just add a few more regulations that effectively tie the hands of entrepreneurs and business, and tax everyone a few more dollars, all will be well. Yet the effects are obvious. Businesses fail, investors go to Turks and Caicos or elsewhere and Bahamians hold back on investing and encourage their kids to stay abroad after school so they can find work. The public policies being implemented like VAT and the proposed Nationalised Health Insurance Scheme, essentially socialism in disguise, have the same effect elsewhere. As the welfare state grows, it gets more clients, growing government deficits and debt instead of the economy. Nordic countries, for example, are said to utilize a gentler form of socialism that works, yet “Denmark, as are the other Nordic countries, quite free markets, apart from their welfare state transfers and high government consumption,” according to the Center for Political Studies (CEPOS). To paraphrase The Atlas Network, Denmark is a good example of the prosperity free market policies can bring. The problem, as The Bahamas is now experiencing, is how prosperity is maintained and not squandered by the government. Government is no mastermind of the economy, but regretfully bad public policies can and do stifle innovation and economic growth. It’s time to turn the heat down on the stove so the water in the pot can cool and the frogs set about helping the economy grow.